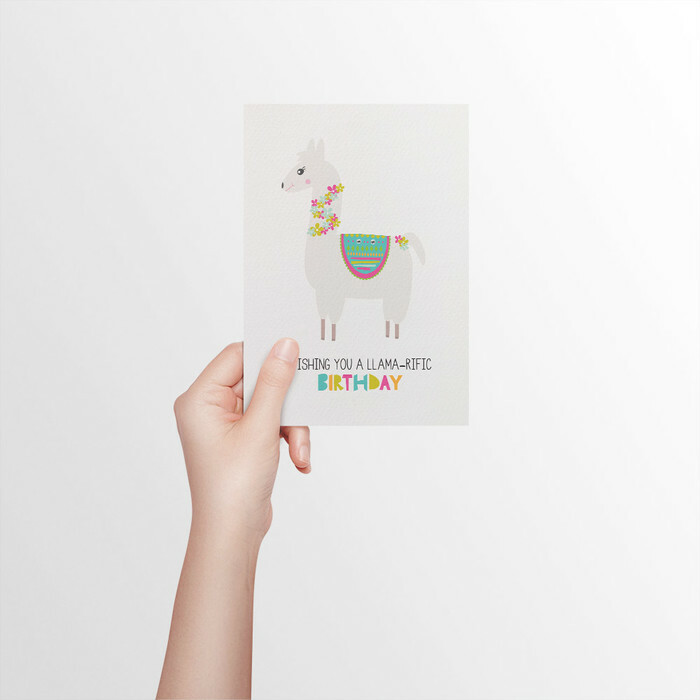 A fun and bright handmade Birthday Girl Card featuring a Llama and the words Wishing you a Llama-rific Birthday. 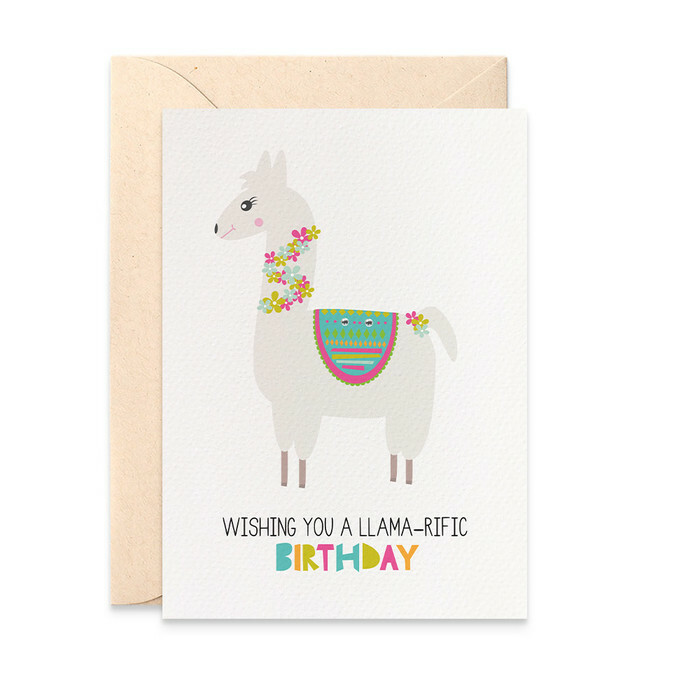 A fun greeting card to give to your daughters, nieces, teenagers, cousins and school friends. This design was created in my Studio by me. These cards are great to frame and to decorate your child's bedroom. How lovely to write your sweet message inside the card and then have your card framed for years to come. Once your order and payment has been received I will send you a proof for your approval before creating your cards. 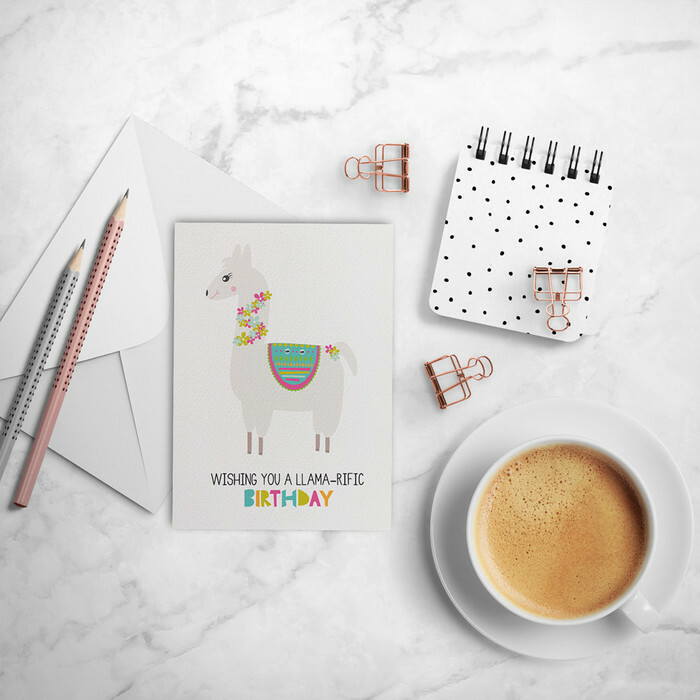 Does not include our Personalised $5 Card Range. Single Cards only. No Card Set Packs as these are already discounted. Items will be posted within 24hrs once payment is received.